What is Empowered Breath Centric Yoga? Empowered breath-centric yoga is an anti-dogmatic approach to studying and practicing yoga, wherein practitioners can learn time-honored yoga techniques as well as skills for critical thinking and self trust to develop a satisfying personal practice. In a breath centric yoga practice, a practitioner uses the biomechanics of the breath to facilitate movement, particularly movement of the spine, to transition in and out of postures as well as to control the position of the body while staying in a posture. A breath centric yoga asana (posture) practice can also be used to prepare for pranayama (breathing exercises) and/or meditation practice. Breath centric yoga often refers to the style of yoga taught by the son of Sri T. Krishnamacharya, TKV Desikachar and teachers of his methods, including Viniyoga, the school in which I trained. Many other styles of yoga offered across the US are “form centric” where the practitioner is encouraged to progress in their practice to create some ideal shape. In a breath centric yoga practice, the function of the posture takes precedent over the form. More simply stated, how a posture feels and what it does for you is more important than what it looks like from the outside. At the core of Krishnamacharya’s teachings is the principle that yoga must be adapted to the individual, which leads us to what makes this breath centric yoga practice empowered. 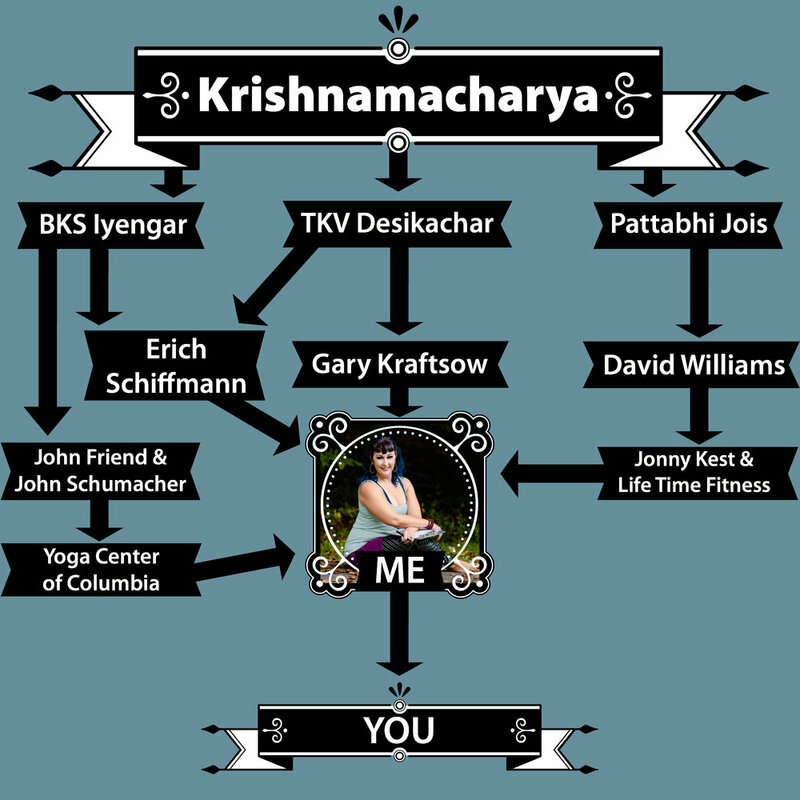 I believe that the tools Krishnamacharya and Desikachar used can be taught alongside complementary yoga techniques, current exercise science, self-study, and mentorship in developing intuition and personal practice. This integrated approach empowers practitioners to develop exactly the right yoga practice for their own needs, and for teachers to become more skillful, compassionate, and inclusive.